Although this is a belated post, we didn’t want to forget mentioning our recent collaboration with ProPublica. If you haven’t heard about them, ProPublica define themselves as a “non-profit newsroom that produces investigative journalism in the public interest”. Founded in 2007, it was the first online news source to win a Pulitzer Prize in 2010 (they won another in 2011). The quality of their reporting is superb. Propublica often partners with major news organizations, offering their stories for free. 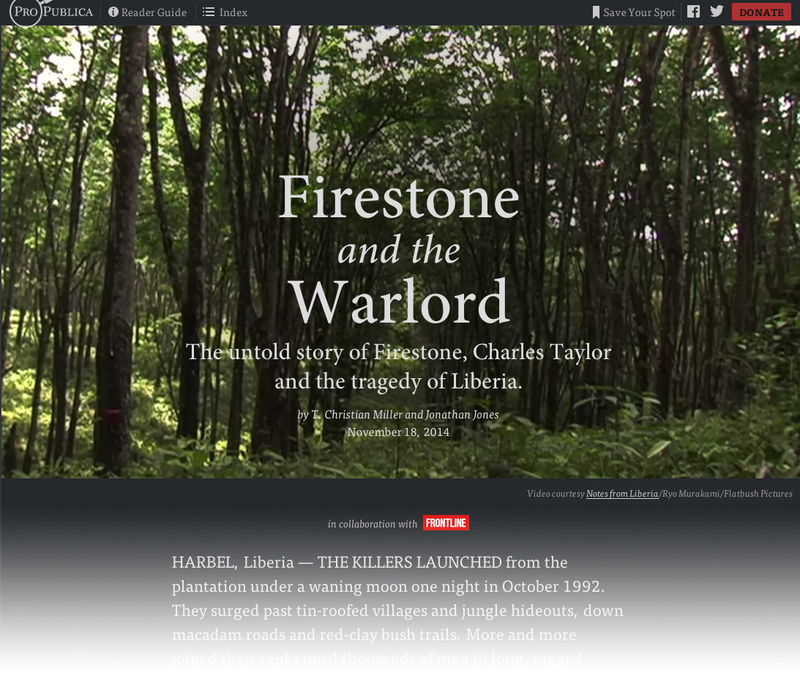 Last November they published one of their most ambitious stories to date: Firestone and the Warlord is an investigation report on the unexamined role of an iconic American company in the rise to power of Charles Taylor, a murderous politician in one of Africa’s most volatile and vulnerable countries. 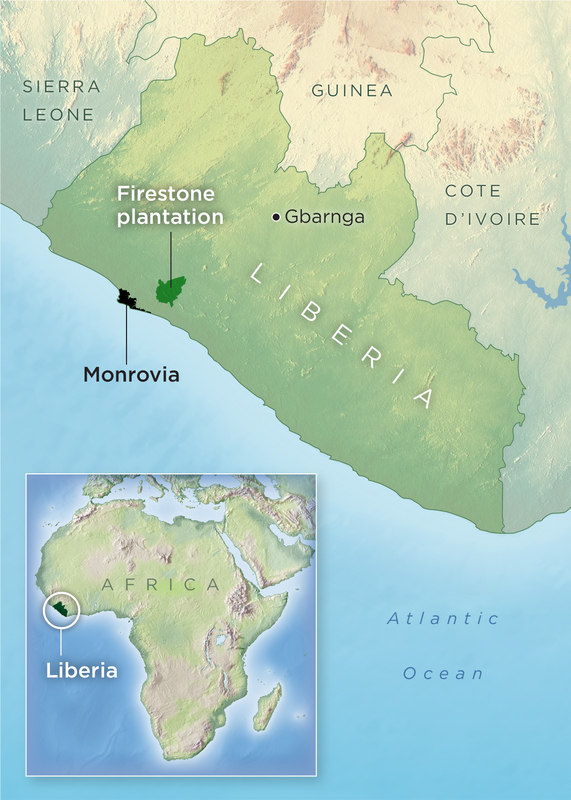 Firestone, owner of the largest rubber plantation in the world in Liberia, provided Taylor with resources and international legitimacy in exchange for his protection and safeguarding of the plantation. In 2003, Taylor was indicted by an international tribunal to 50 years in prison for crimes against humanity. 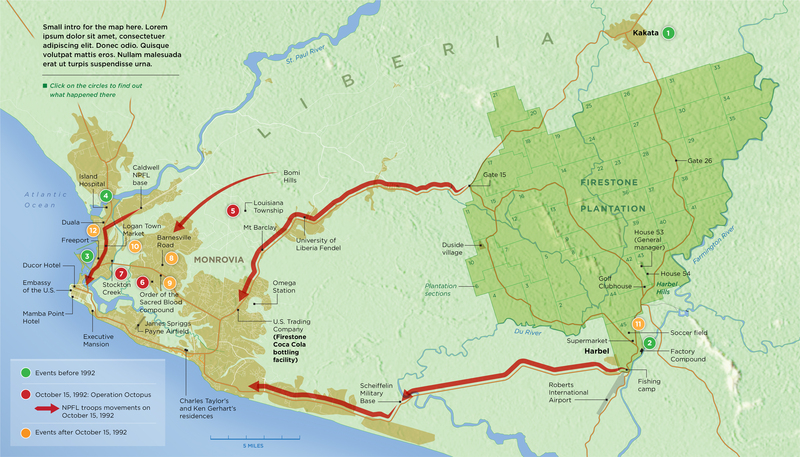 The story was written by T. Christian Miller and Jonathan Jones and took several years to report, including over 200 interviews. It’s as good as long-form investigative reporting gets. 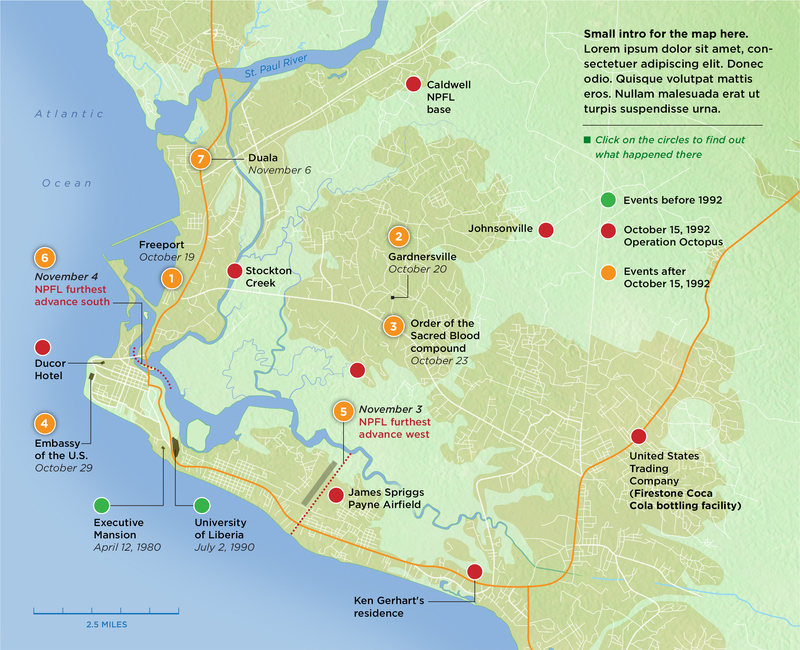 We did four maps for the story, including a locator and three interactive maps: The Firestone plantation and two detailed maps showing Charles Taylor’s rebel army attack on Monrovia from the plantation (best viewed with Chrome). 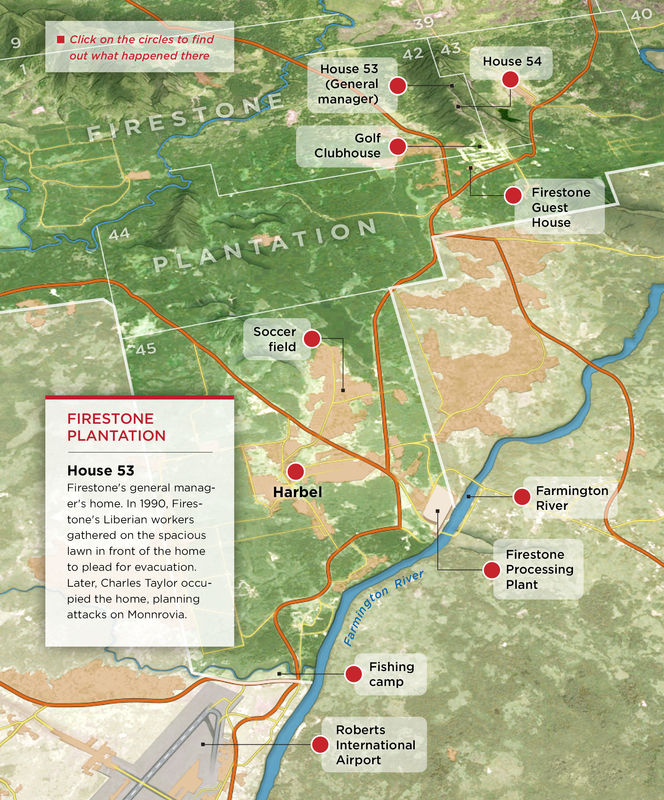 ProPublica has created great multimedia visualizations before (see Alberto Cairo’s article on their Louisiana coastline project here) and they are definitely an organization to follow closely.